Chances are you’ve never heard of what is perhaps the best, yet inexpensive, supplement to boost your health and cleanse your body at the same time. 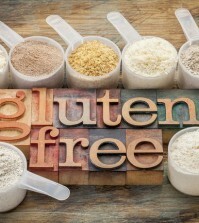 It’s one of the best kept secrets ever, called Diatomaceous Earth, or DE. This is a completely natural compound rich in silica, a well-known mineral with tons of healthy benefits. It’s nothing more than the fossilized shells of microscopic organisms that lived in the water called diatoms. These are one celled plants such as algae or plankton that are the primary food source for all sorts of marine life. These plants have been a part of the earth’s history for eons, and they still live on today in salt and fresh waters the world over. Diatoms use soluble silica, what we would call sand, from where they live to make their shells. When they die, these shells fall to the floor of the sea or lake bed. Thousands or millions of years later, when these waters receded, scientists found great beds filled with diatomaceous earth. Hundreds of deposits of DE are now located all over the world. Some are located underwater; others are at the bottom of ancient dry lake beds. Just to give you an idea about how small these diatoms are, just one cubic inch of DE may have as many as 400 million shells. Amazing! This DE is mined and ground into a powder that resembles talcum powder. This completely natural powder that we call diatomaceous earth is really nothing more than fossil shell flour. It consists of about 33 percent silicon, 19 percent calcium, some magnesium and iron. It also has trace minerals such as copper, boron, and titanium. Silica is perhaps one of the most abundant minerals found on this planet and the shells of these diatoms are almost entirely made from it. Even though silica is found in foods, much of it cannot be readily absorbed by the human body and silica is a very important trace mineral. It plays an important part in many of our body functions. In this crushed form, the silica in DE can be easily absorbed by the body. 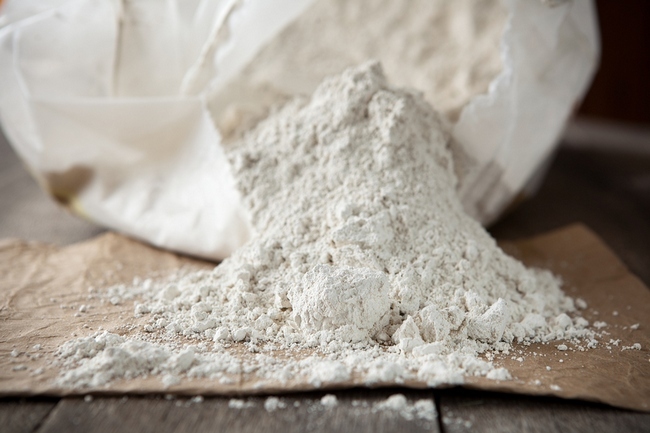 Check out this list of the top 7 health benefits of diatomaceous earth. Vitamin D and calcium are simply not enough for proper bone growth and bone density. If the truth be told, the body simply cannot use calcium to build bones without the presence of silica. Recent studies show that to re-mineralize and repair damaged or weak bones, silica supplements need to be taken. Silica can speed the healing of fractures and minimize the scaring at the location where the break or fracture occurred. Read also about common diseases caused by a lack of vitamin D.
Scientists and recent studies have linked Alzheimer’s disease with a build-up of aluminum in the brain as well as aluminum in drinking water. One thing that hasn’t been considered is that silica reduces the buildup of aluminum. When silica is added to water laced with aluminum, it stopped the aluminum from being absorbed in studies. It caused the removal of aluminum from the body through the urine and lowered the concentrations of this mineral in the liver, bones, brain, and kidneys. Silica can be extremely important in supporting neurological health. Find out how to prevent Alzhemer’s. Silica fortifies blood vessels, hindering the effects of heart disease. Studies show that, with age, silica slowly disappears from the aorta and this weakens critical connective tissue. DE lowers cholesterol levels by removing plaque and keeping arteries and veins flexible. It can also regulate blood pressure. The silica in De can also assist in the repair of vital lung tissues and help to protect them from air pollution and contaminants. Collagen is made up primarily of silica. Think of collagen as the glue that holds us together. Up to 75 percent of the weight of the dermis skin layer is collagen and that is what is responsible for the elasticity of our skin. Many people with arthritis suffer from bone deformity when the tendons and ligaments in the joints lose their flexibility due to a loss of collagen. You need silica for healthy and flexible joints, tendons, and ligaments, not to mention soft, supple, young looking skin. Silica is linked to the immune system’s ability to respond to harmful stimuli. For the body to make antibodies that fight against bacteria, allergens, and other foreign invaders, it needs silica. Perhaps one of the most sought after benefits of DE is to cleanse the body, especially the digestive tract. DE will remove any toxin, bacteria, parasite or virus that might be clinging to our digestive tract. While DE feels like a soft powder to us, it’s actually small cylinder shaped shells with razor sharp edges. These sharp edges scrap away toxins, parasites or viruses that are hanging onto the lining of our intestines. Find out other ways to cleanse your kidney. Your body needs healthy tissues for the largest organ in your body; your skin! Silica is great at providing support for bones, tendons, joints, and your skin. Wrinkles appear and the skin begins to sag, not so much from age, but from a lack of silica. Since the silica in DE is water soluble, and passes through the body quickly, DE helps the body absorb minerals, including the ones in DE. Take about a tablespoon mixed with water three times per day, or a maximum of ¼ cup daily. Since this form of DE is water soluble, it’s extremely easy for our bodies to absorb and use this important mineral. You should be aware that there are several different types of DE. Always use Food Grade Diatomaceous Earth. Food grade is the purest form of DE and is safe to be consumed. DE is approved by the FDA and has absolutely no dangerous side effects. As always, talk to your doctor first about taking DE.